Are you trick or treating for Halloween tonight? 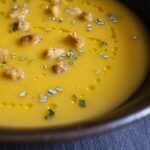 Before setting off why not pour yourself a bowl of my pumpkin pear and ginger soup. This Autumnal spiced soup will prepare you for the night ahead as well as leaving some space for the chocolate and sweet haul which is likely be demolished along the way. This soup would be perfect to serve to a hungry group of children and parents – a great way to feed a Halloween crowd without too much effort. Maybe you could serve it with a few sausage mummies and some bone shaped bread rolls or witches fingers bread sticks. Over the past few years, I have loved experimenting with pumpkin in many sweet and savoury dishes. It makes the most amazing muffins, breads, curries and pies. Foe truly tasty pumpkins, it’s definitely worth headign to one of the local markets or farm shops who often stock the best varieties for eating. 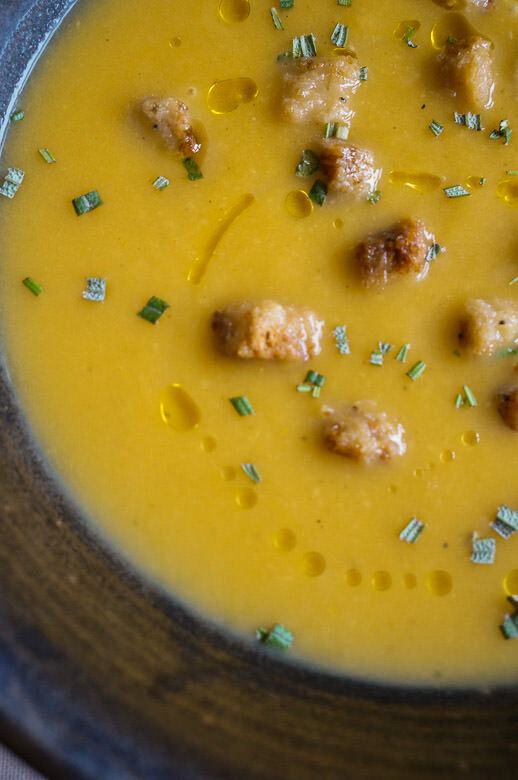 A delicious pumpkin pear and ginger soup perfect to enjoy on a cold Autumn day. Add in the prepared pumpkin, pear, turmeric, chilli , rosemary and ginger and fry for a couple more minutes. Pour in the prepared vegetable stock ( cubes or powder are fine). Bring to the boil then simmer for 20 -30minutes. Remove from the heat and blend the soup into a smooth purée. Return to the heat to warm through before serving. If you can't find a fresh pumpkin then you could substitute butternut squash. The soup keeps well in the fridge for up to 5 days. Alternatively you could freeze some for a later date. That sounds delicious! 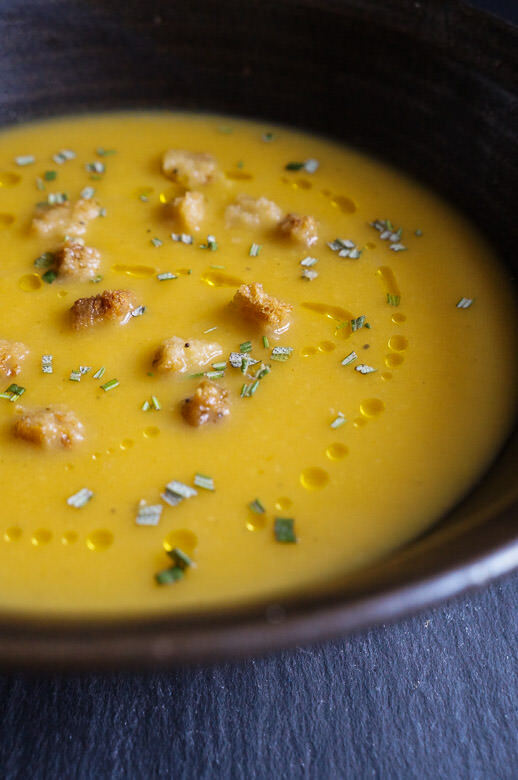 I make a parsnip soup with pears in it – I love how they compliment autumn vegetables like pumpkin and root veg so well. Yum. I agree Helen, the fruits add something special to a soup, a lovely idea to use parsnips too. Loving the idea to combine pear and ginger with the pumpkin, I bet the flavours sing! It’s a good one Kavey! What a lovely autumnal flavour combination it looks really tasty. Wow what a wonderful looking soup! I love that you’ve used pear AND pumpkin. I have never tried that combination before.